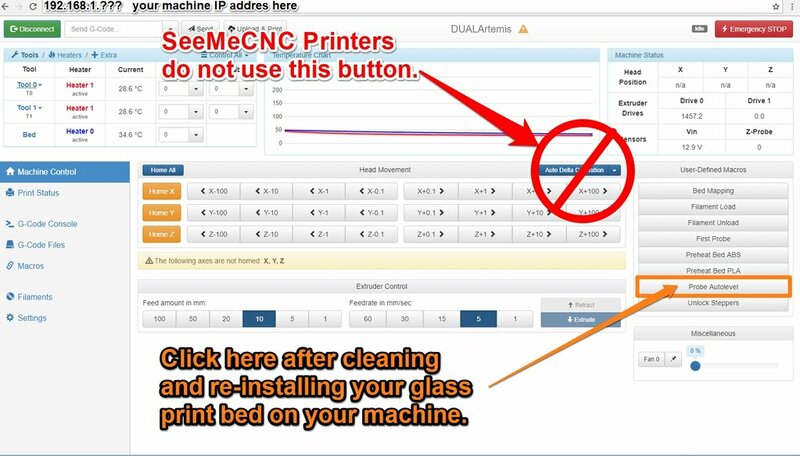 -It is not necessary to run Autoleveling every time your print. -see photo "...do not use the button". The reason not to use this button is because we custom write the ﻿macro's﻿ for each specific 3D printer we manufacture. Clicking the button will not fetch the same results as running the macro we provide for your printer.